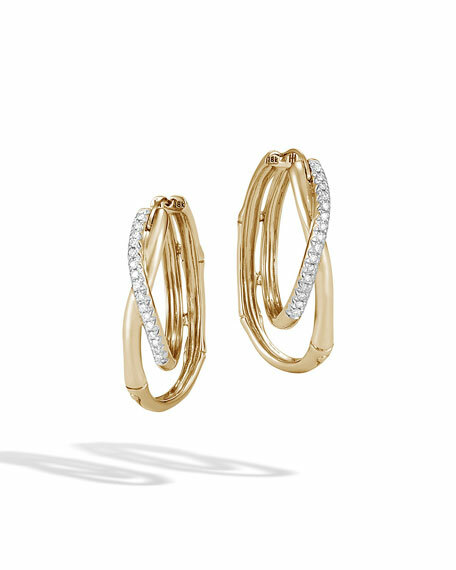 John Hardy hoop earrings from the Bamboo Collection. Polished 18-karat yellow gold with bamboo motif. Interlocking hoops with diamond pavé front.